Minimal Viable Product or MVP is a strategy used for fast and quantitative marketing testing of a product or a product feature within Lean Startup. The methodology includes various techniques but in general the idea is to test the way to product market fit in the shortest time and with low investments. Lean startup is related to Customer Development. Withing Customer Development you “get out of the building” to talk to potential client before you make your MVP. A smoke test is a technique for an MVP. For a smoke test you make a small website or a landingpage for the new product or service that is not existing yet. In the ‘traditional’ way of an MVP you try to sell your (not existing) product online. In case the product seems to be popular (test hypothesis is positive), you may decide to persevere or create the product or make a zoom-in pivot in the same way. If you can not get viral traffic but you need to setup a pay-per-click campaign (for example AdWords) it can be relative expense. Also more expensive B2B services and products may be very hard to do a smoke test online. 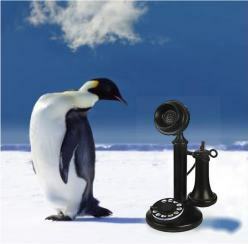 At ContentForces we are using cold calling in combination with a small website to test their new B2B software. In general the sales cycle of B2B software with a serious implementation fee is quiet long. In this case we were able to develop the software during the ‘implementation’ phase. Although the first version was a concierge MVP. Our conclusion is that cold calling is an interesting method to get quick “traffic” for your Minimum Viable Product. It is worth to try it. If you would like have more information or you have questions, feel free to contact me by entering the contact form.